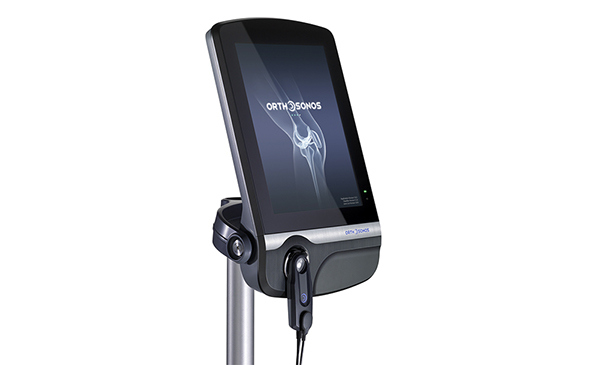 Bruin Biometrics is working to establish a new standard of care in orthopedics with its acoustic emission technology. 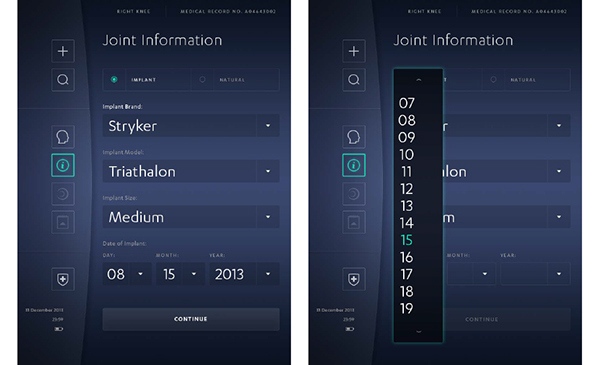 Taking a step beyond static x-ray images, it detects friction across a joint’s full range of motion, giving surgeons a clearer picture of patients’ joint health. Despite its benefit, Bruin Biometrics knew it faced an uphill battle asking busy doctors to adopt a new procedure. The company asked Karten Design to research, design, and engineer a system that would add value to doctors’ practices and blend with their existing habits and ceremonies. 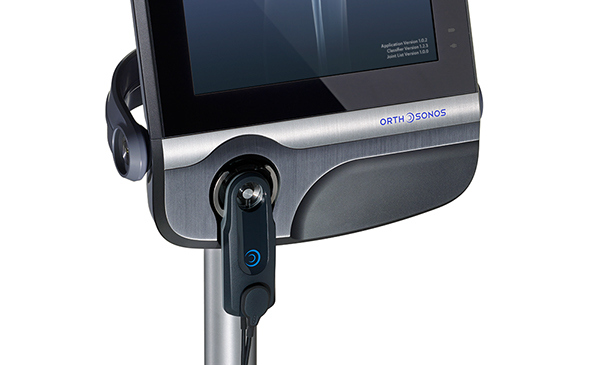 We designed the OrthoSonos™ system to help doctors communicate with and educate patients. 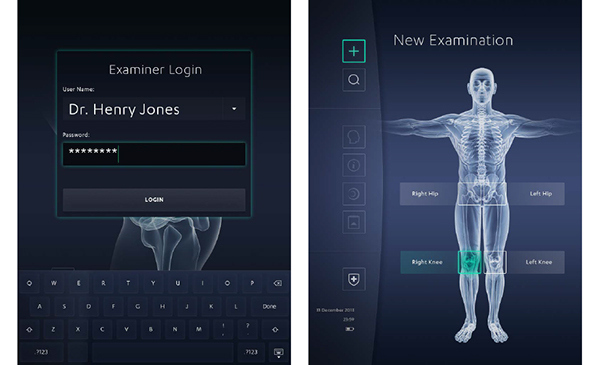 The large screen and vivid interface let doctors and patients view test results together, using patient-friendly animations in addition to the technical information that doctors need. With a minimal, clean-lined appearance inspired by high-end consumer electronics, the system’s design gives prestige to a surgeon’s office. 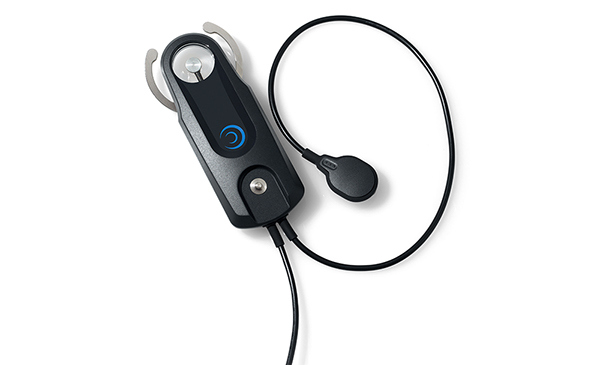 Its gently undulating form is inspired by sound waves, representing the technology inside. This metaphor moves through the graphic user interface, as well, creating surprise and delight. 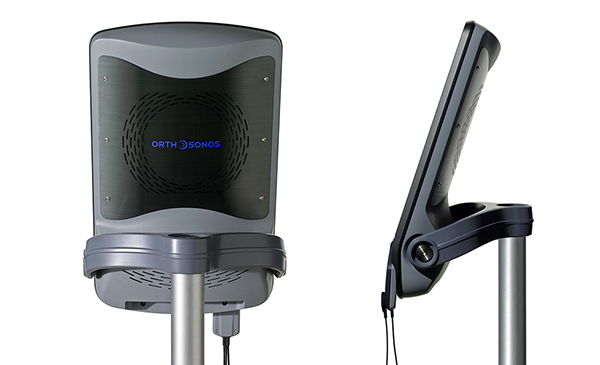 OrthoSonos™ requires little additional skill, equipment, or maintenance. The compact, symmetrical sensor is easy to apply to knees of many shapes and sizes and fits either left or right knees. Instead of requiring a separate keyboard, we designed the GUI with a touch-screen keyboard for performing simple entries. 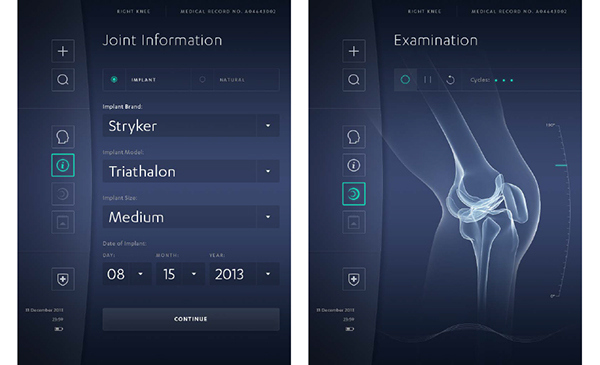 A functioning model, introduced at the American Academy of Orthopedic Surgeons conference, has helped Bruin Biometrics build buzz, raise capital, and move OrthoSonos™ toward commercialization.